15 minute grace period for pick up. Your reservation will be automatically cancelled if the key card is not picked up within 15 minutes of the reservation start time. Classroom assignments will be determined by considering availability, technology requirements, class size, and preference. Highest priority is for library instruction and library presentations. These classrooms are generally available for single-session events. Student Multimedia Services has priority for Willamette West. Read the full classroom guidelines. Research rooms are available for a 90 day loan period to all faculty and to doctoral students who are within 6 months of taking their qualifying exam or if they have completed it. 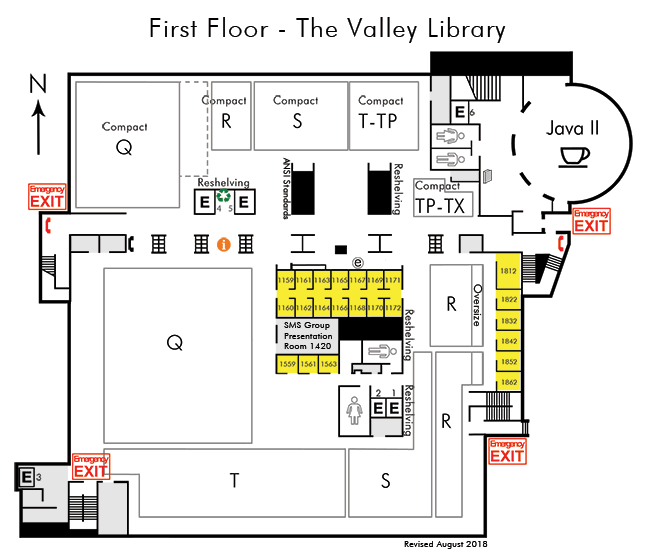 Faculty can call, email, or request a room at the Circulation Desk, with no letter or authorization needed. Doctoral students must present a letter on OSU letterhead (example) from their department advisor confirming their scheduled exam or completion to qualify for a research room. Bring the letter to the circulation desk or email it. 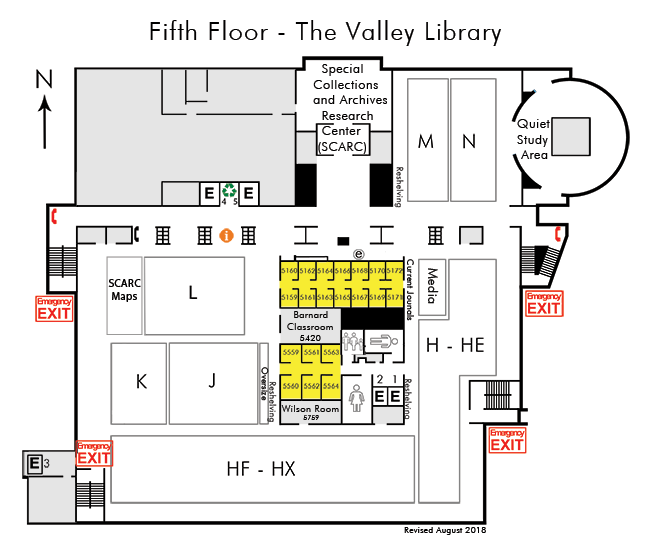 Once a qualified student or faculty member has received notification that a research room is available, the keycard may be picked up at Circulation. Each 90 day research room is equipped with a table, chair, shelves and a cork board. Wireless access is available in all rooms. 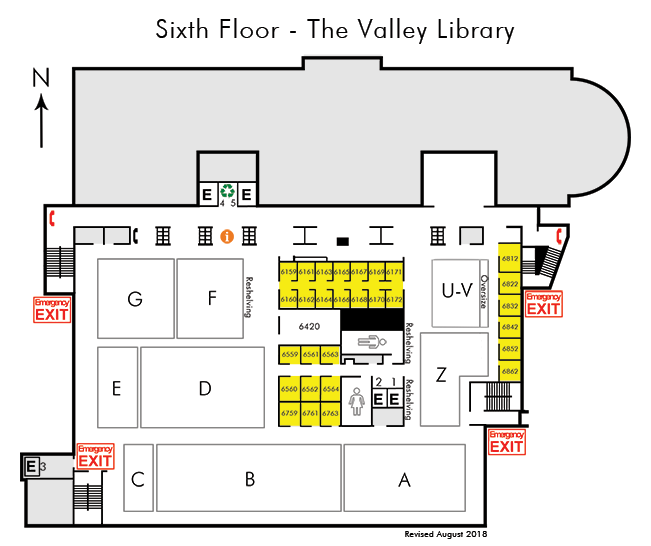 All research rooms are located on the 6th floor. Read the full research room policies.